Sorry it’s taken me a while to post this. 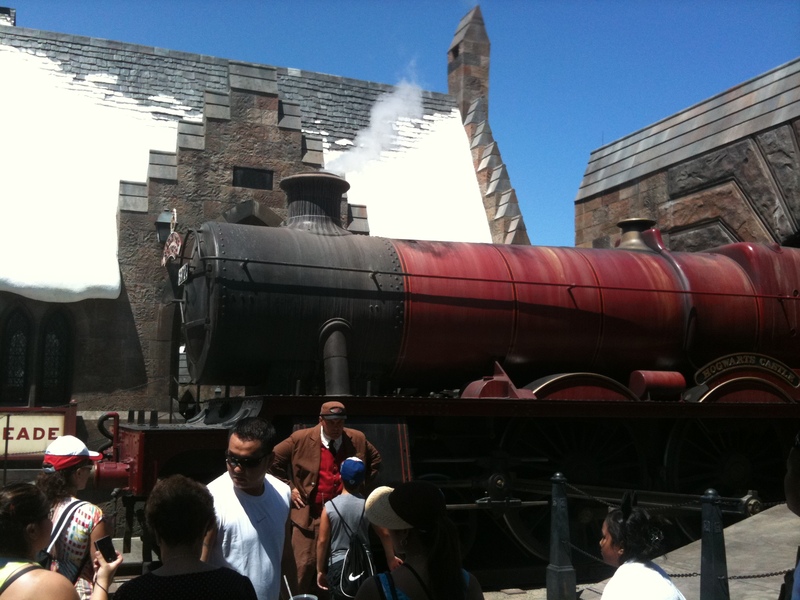 I was in Orlando two weeks ago and hit Harry Potter World at Universal on Tuesday. The day the temperature broke all sorts of records at 111 degrees. So, my take on Harry Potter World. I’m very glad I didn’t bring my family. But I absolutely LOVED it. How does one reconcile these two sentences? Simple. No one in my family is a diehard Harry Potter fan but me. I’ve read every book; when the last one came out, we were just getting home from a vacation. I dropped my family off at the house, left them the car to unpack, while I took another one to the bookstore before it closed to pick up my copy of the book. Then I got home, said goodnight to everyone (this was at 5 pm) and told them not to bother me, that I was reading the book straight through. And I did. We own every movie, have seen each one on opening day. I love this series. So when Universal announced it was going to have a Harry Potter World, I was trying to come up with every way to get there. But I knew my family would not enjoy long lines. So, I arrived in Orlando very early on Tuesday morning, got to the hotel, dropped my stuff off in my room, and headed outside to the shuttle van (Mears shuttle, $18 RT, very affordable). While waiting for the van, I met a wonderful mother/daughter team by the name of Donna and Emily. They were on a girls’ trip for Emily’s high school graduation and Emily is a HUGE Harry Potter fan. (I’m sure you can see where this is going.) They, lovely folks, invited me to spend the day with them. 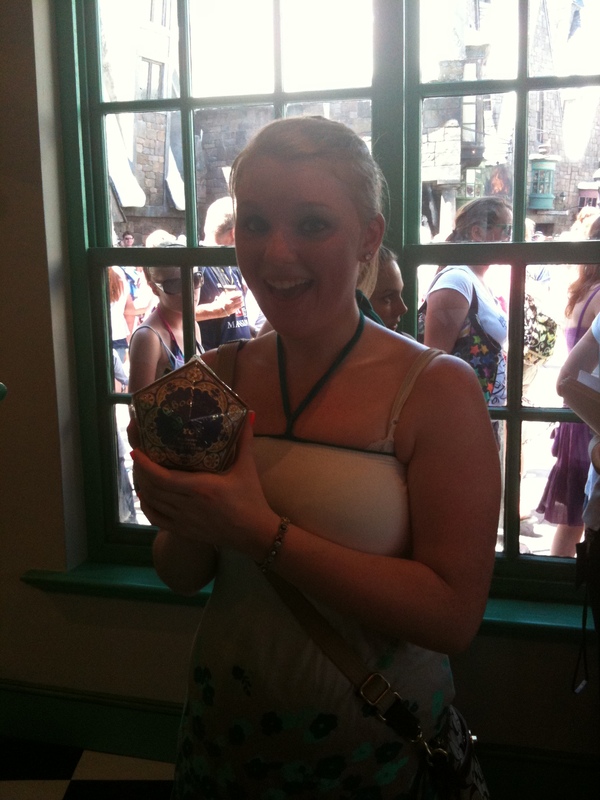 Since I was all alone, and Emily was as big, if not bigger, a HP fan than me, sure! 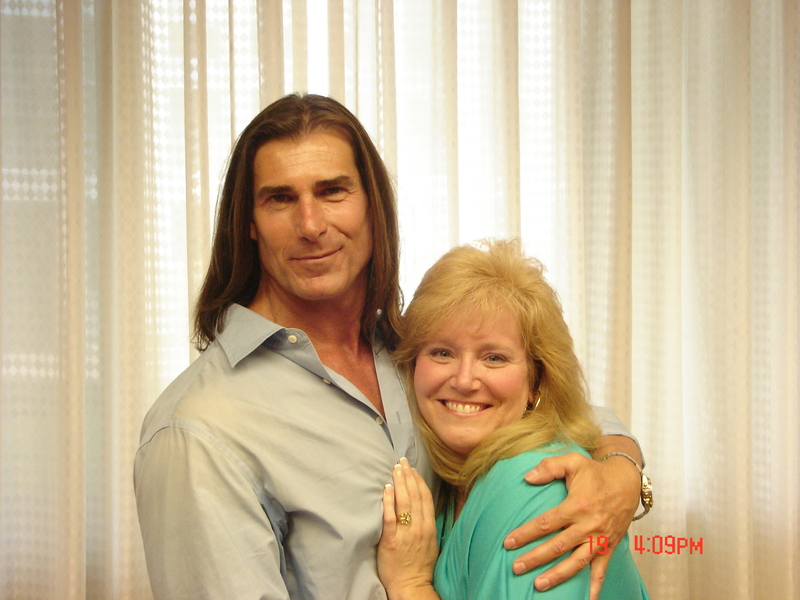 Emily was a godsend (and not just for her Facebook pictures). I’m not one for people coming up to me to try to sell me stuff on the street. 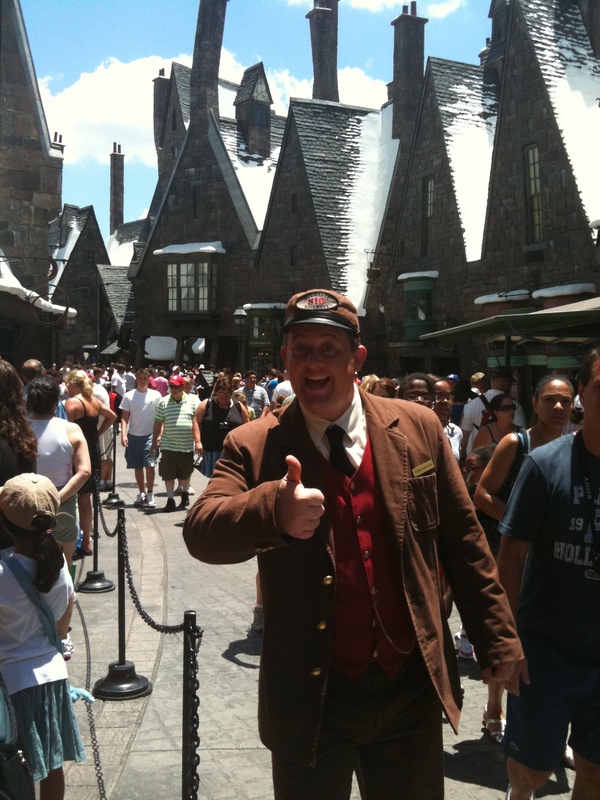 I hate people in my face, so when a park employee waved something papery in my face and said something along the lines of Anneheuser Busch (I swear, that’s what he said and I thought it was something for SeaWorld, which I love, but I was there to see HP World), I just walked by him. 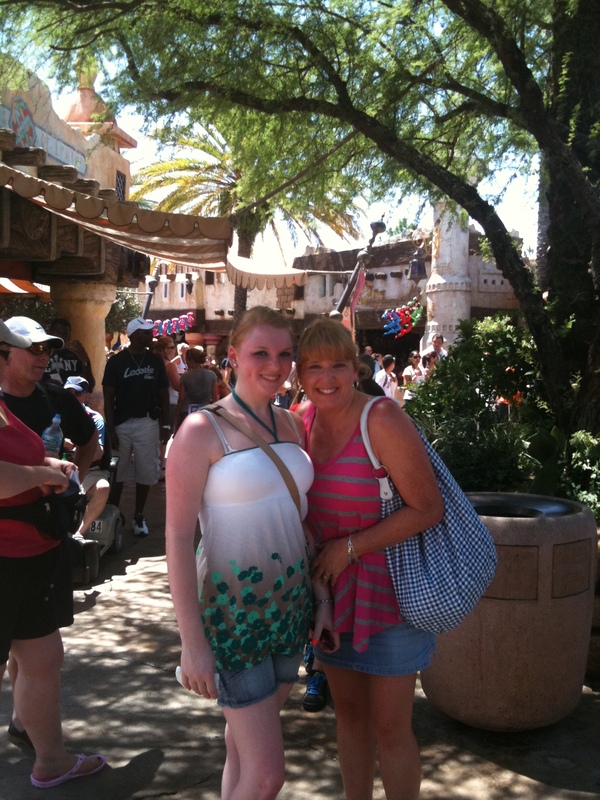 Emily, thank God, heard “Harry Potter World” and walked over. Turns out, the guy was giving out fast passes into HP World. For Free. So there the 3 of us were with our fast passes, by-passing all the poor people who were in the hours-long line to get in the part (did I mention it was going up to 111 degrees that day?) From where we got the fast pass to the entrance of the park was a 20 minute walk, and the entire way was lined with people in line to get in the park. I know it was 20 minutes, b/c the fast pass was valid in 20 minutes from when we got it, and we started heading back that way, and arrived just as they were letting people in with that fast pass time. I have no idea why the park employee was giving this away, no idea why other people didn’t get a fast pass, didn’t even see a kiosk where you could GET a fast pass, but there you go… We waltzed right in to Hogsmeade. Ahhhhhhhhhhhhhhh. 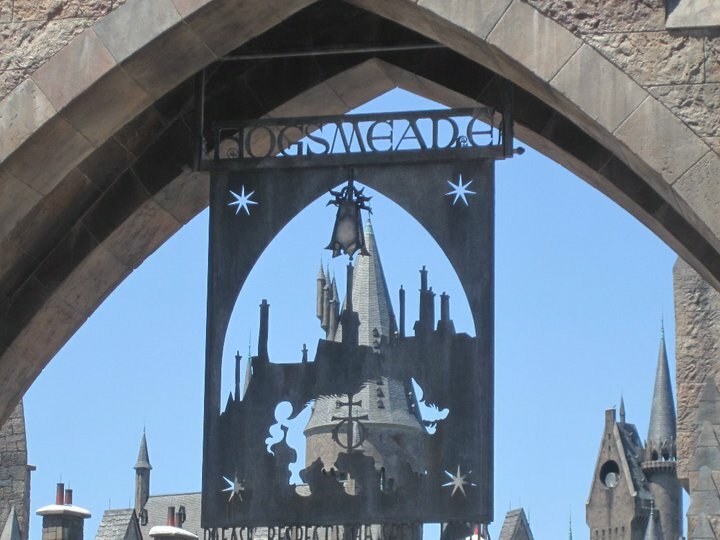 I’ve seen a documentary about the making of HP World, and checked it out online, so I knew that the team who made the sets for the movies were involved in making this park. They did an amazing job. The snow on the rooftops looked so real it was a shame that I was still sweating. 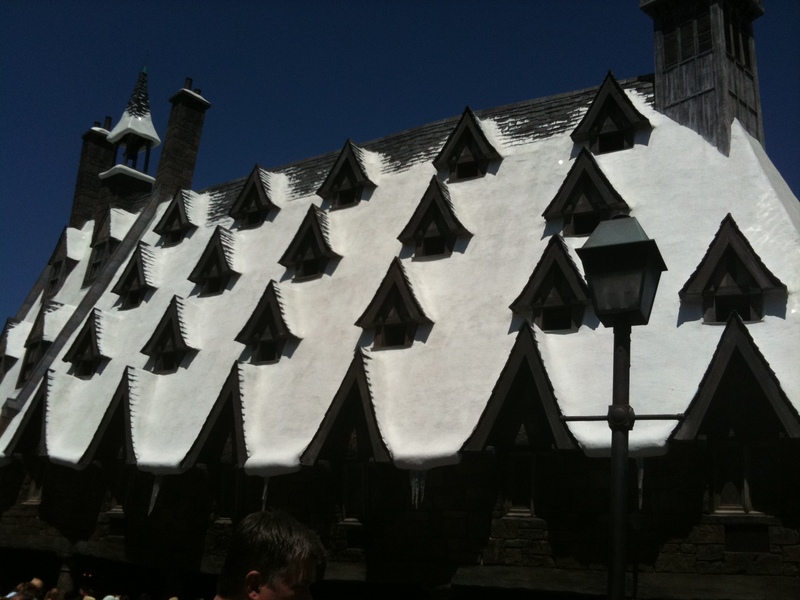 The buildings were jut like the movie, the steep pitched roofs, the hundreds of gables, the shingling… very cool. Of course there was the train engine. 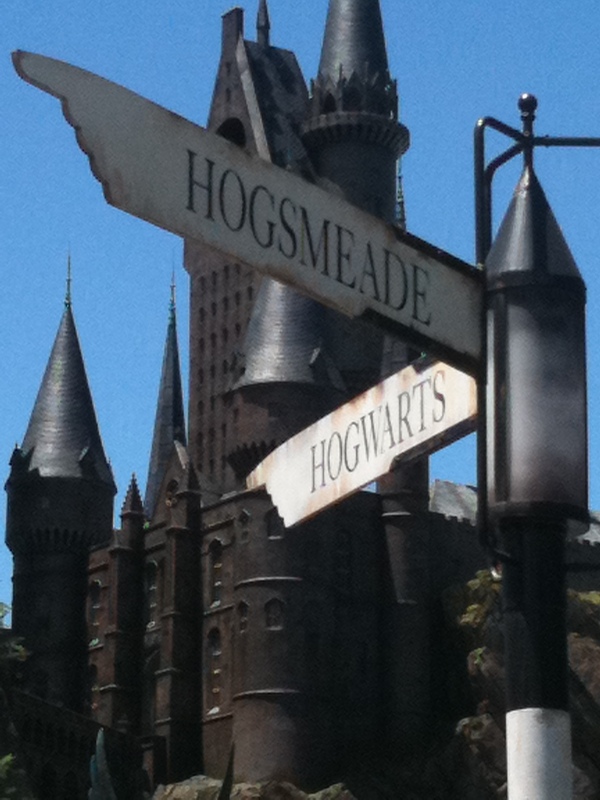 There’s an owlery and some shops and of course, Hogwarts. You can read all about it at Universal’s sight, but here’s my Traveler’s Guide to the park. Disappointingly, the shops were made to keep in line with the books. Meaning, they are small. Narrow. Tight. Tiny. 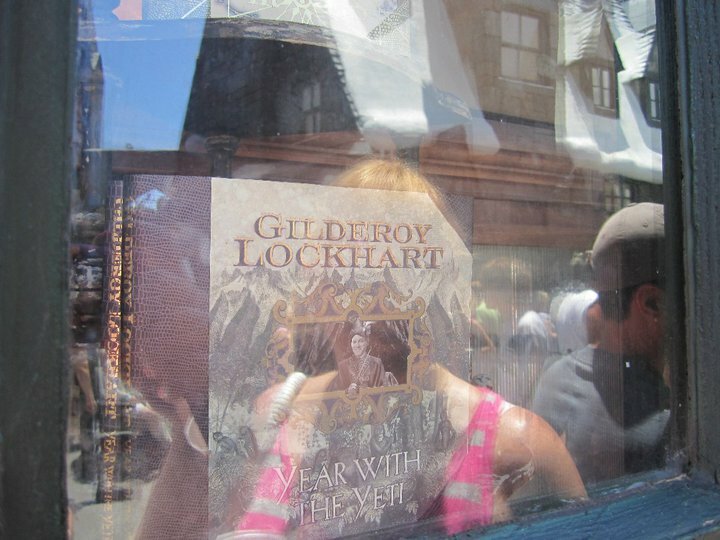 When you see the Weasely’s and Harry and Hermione and Draco and his dad getting their books when Gilderoy is signing… that’s how scrunched together you are in these shops. candied almonds from the self-serve canisters and scrunched up in line to pay for them. Someone, however, decided that to leave HoneyDukes, you have to go through the joke shop. Okay, that’s fine; we get to see the Weasely twins’ favorite place, but as for buying anything… I think it’s more a curiosity factor to go in that store. I mean, seriously, do you really need a whoopee cushion that says “Whoopee Cushion” on it? If it said Harry Potter world, maybe. 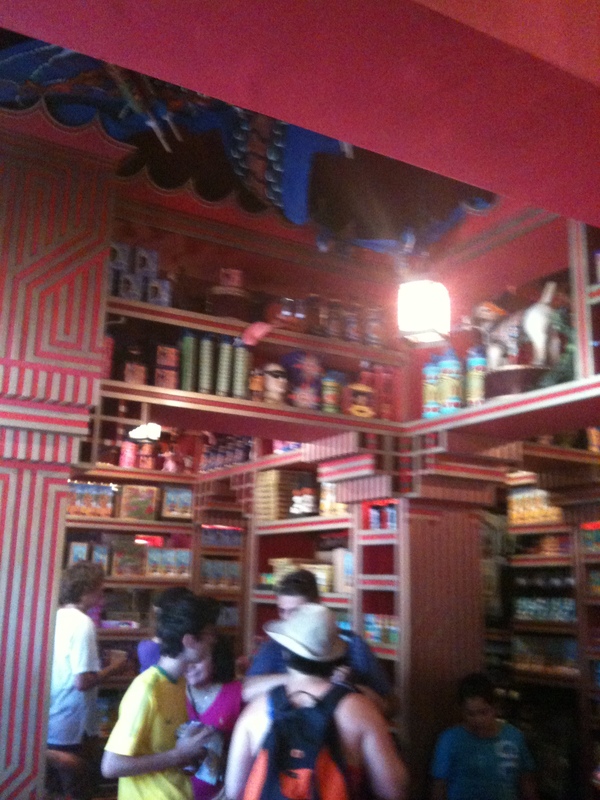 Oh, I forgot to mention, we had to wait in line for like an hour and a half to get IN HoneyDukes. In the hot sun. Where they don’t have awnings covering the line. 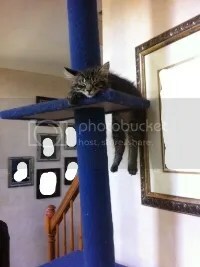 Or a place to sit. Or water fountains. 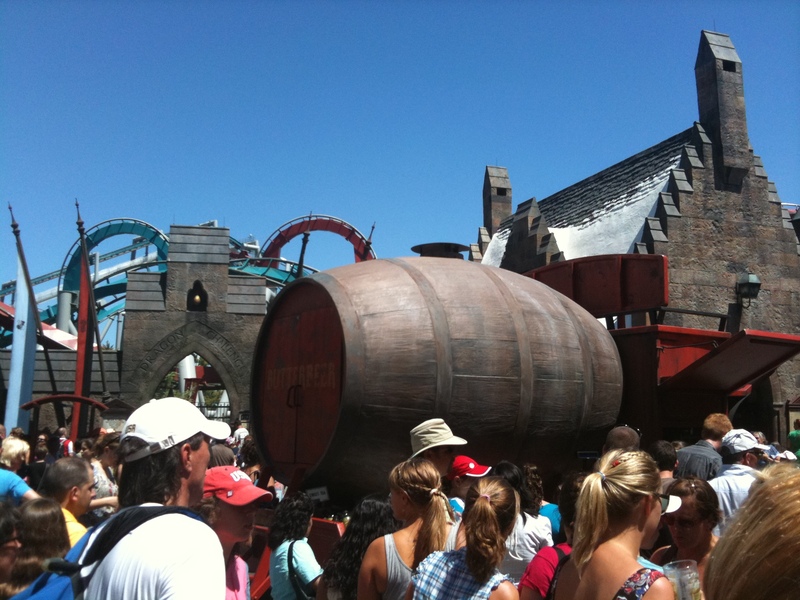 They do have butterbeer barrels set up like vendor carts. I HIGHLY recommend the frozen butterbeer. It’s very good -kind of like butterscotch and gingersnap cookies mixed together with ice. A butterbeer slushie. Not too badly priced – $3-$4 (can’t remember). I had taken a tiny umbrella with me to keep off the sun, so I’d recommend that, because the heat is BRUTAL. half wait. We figured we’d wait and do something else. Surely the lunch rush would die down. So off we went to the one place I’d been dying to see. 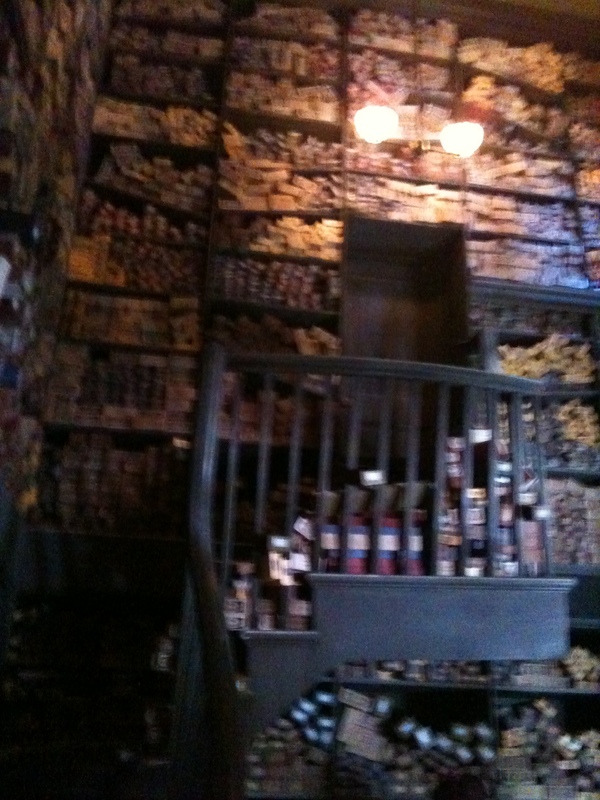 Olivander’s Wand Shop. When that scene in Olivander’s came on the screen in the first movie, I caught my breath. The movie makers had done such an amazing job with pulling details from the book, I couldn’t breathe because it was as if they’d reached inside my imagination and taken out how I’d seen Olivander’s. That was a magical moment for me. And after another hour and a half wait (in the hot, unrelenting sun, with no shade save for my umbrella and one very cool stone arch that we commandeered for longer than we should have), in we went to Olivander’s. 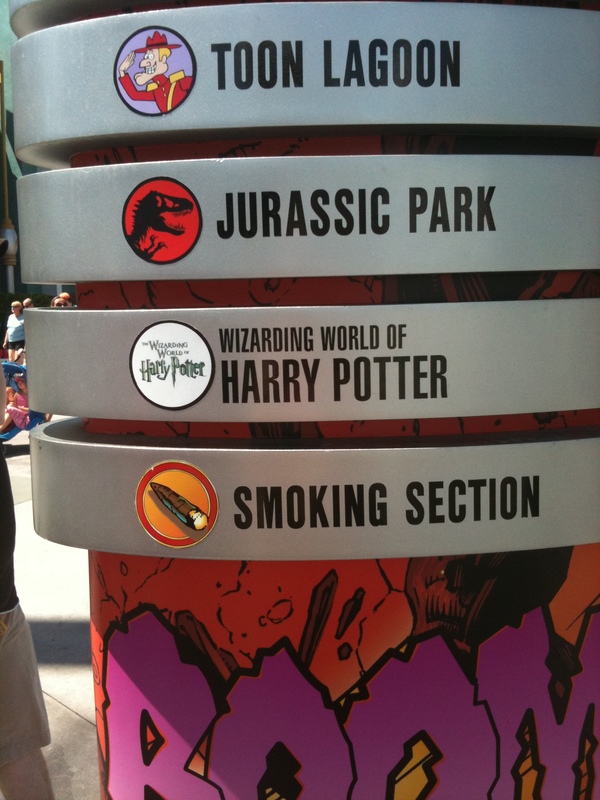 The promos for the park have talked about having the experience of your wand choosing you. I was looking forward to that. Yes, I’m a 45 year old woman and know that it’s not magic, but still, I could pretend, couldn’t I? Apparently not. What they don’t tell you in the promos is that only 30 people are allowed in Olivander’s at a time (see note above about the whole park being built to story-scale instead of millions-of-rabid-fans-clamoring-for-this-new-park-scale) and only ONE (or two if they’re lucky) KIDS are CHOSEN to be part of the “show.” That was a bit of a letdown, though for those two kids, it definitely wasn’t. Nor for their parents. The shop itself is EXACTLY like the movie, so it was wonderful. 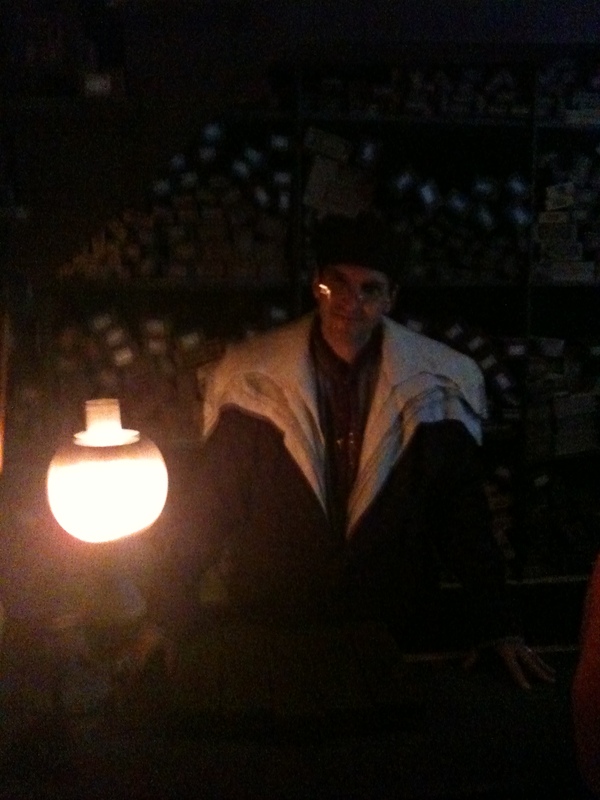 Boxes and boxes of wands, sample wands on the walls, Mr. Olivander himself, and, of course, magic. I’m glad I waited, but I’d really wanted to “experience” the wand choosing me. But I got to choose my own wand, because park employees then funnel the 30 people into another store where you can get Griffyndor clothing, or Slytherin capes, and any other HP-themed souvenir. And you can buy your own wand. There’s a wall with wands coinciding with your birthday. I wasn’t fond of the screaming skull for a February 13th birthday. I was thinking something that close to Valentine’s Day might be a little more upbeat, so I decided to buy Hermione’s wand. There’s another wall with character wands, but Dumbledore’s was sold out. They said they sell out of his the most. Another Tourist Hint: DON’T buy your chocolate frog during your first visit to HoneyDukes and then proceed to carry it around with you the rest of the day. Otherwise, you’re going to have to double-bag it (with HP bags, so that’s kind of cool) and beg for ice from the butterbeer vendors (the added bonus is you can put some ice in your bra to try to cool your body temperature in the ridiculously hot, sticky, sweaty Floridian July heat). 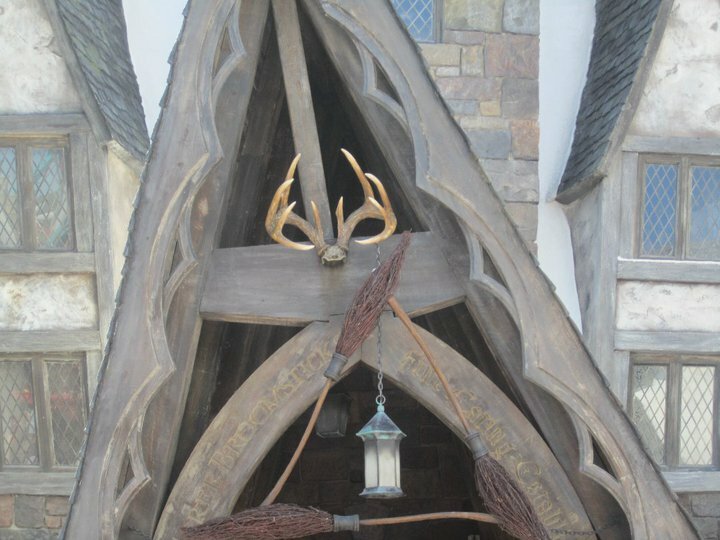 So, after we bought our wands, we decided to check out lunch again, because it was now about 2 pm and surely there was no longer a long wait at The Three Broomsticks. We were right; it was only about 15 minutes. I have to say, I was pleasantly surprised at the food. Not fast food at all, though you order it cafeteria-style, but it was good. Ribs, chicken, fish & chips, shepherd’s pie (looked good but too small), and other English fare, the prices were pretty reasonable, too. I had ribs and chicken, some potatoes and an ear of corn, plus milk for about $13. Oh, and the water bottles from the vendors are only $2.25 (maybe $2.75, I can’t remember – that memory thing, you know. I need a pensieve for myself…) So, not too bad there. 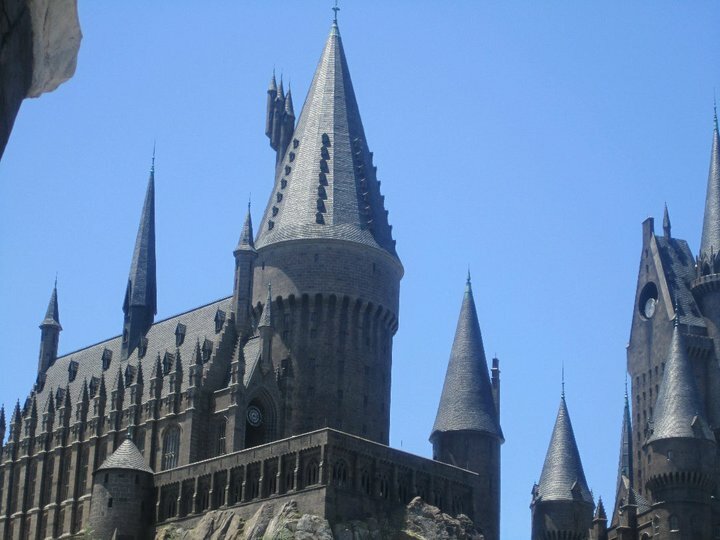 Check out the next post for our visit to Hogwarts. 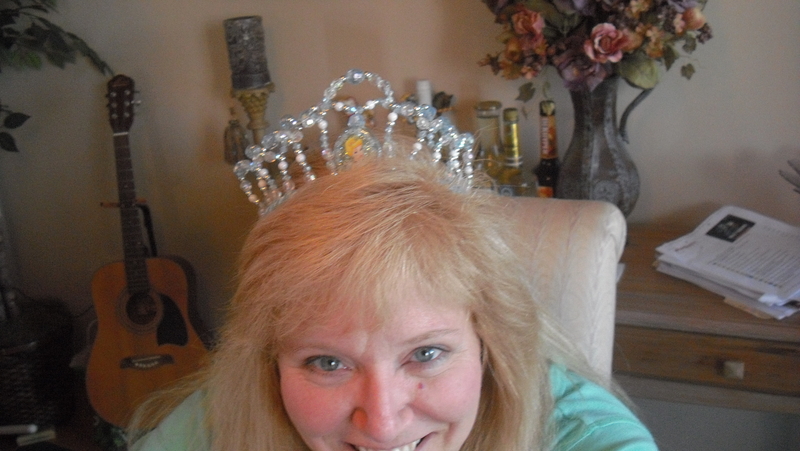 My brother-in-law is a prince among men, so it’s only fitting he be the one to confirm my royal status. One of the most thoughtful and fun Christmas gifts that I’ve ever gotten. Yes, it’s funny, and yes, it’s campy, and no, I don’t really care. It fits me to a T. Plus the fact that Chris wasn’t sure which princess to get me, so he picked Cinderella because blue is his favorite color. I told him he could have gone with any of them and they would have been a hit, but the fact that it’s his favorite color earns him bonus points. So, does anyone have any uses for a terrycloth bathrobe besides wearing it when you get out of the shower? When your kids don’t clear out the garbage disposal before setting the dishwasher to turn on and said dishwasher can’t empty so it spews its water all over your kitchen floor, the terrycloth bathrobe is quite handy for sopping up the mess. That’s what you can use a terrycloth robe for. Sadly, once sopping wet, it does NOT make a very good shield for you to use to run naked through your house as the Fed Ex guy drives up your driveway. Luckily I heard it dribbling (more like fountain-ing) onto the floor, said, “That doesn’t sound right” and ran into the kitchen so it didn’t make it to the drywall in the ceiling below. But, oh, how how much water there was in that short amount of time. And as for windows… one of the best features of this house to me is the windows. 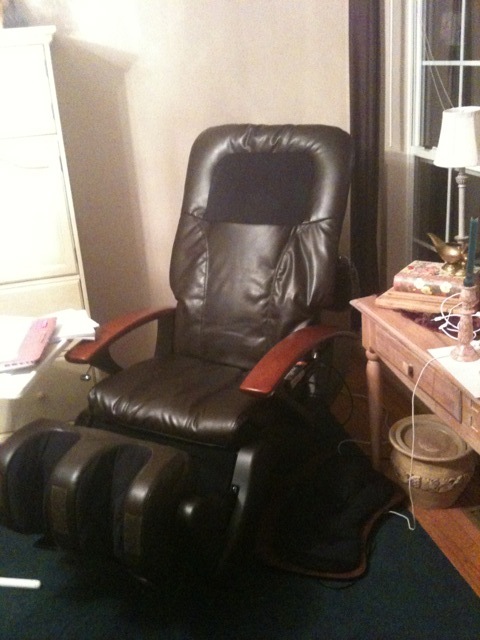 My last house felt like a dungeon – this one has LOTS of bright light and windows. Oh, and just to add to today’s fun, this all happened after I took a Kid to the bus, only to find out said child didn’t have the necessary clothing for the after-school thing, so we had to drive back home (I’m in my FLUFFY blue robe at this point), where Child could run in and grab the clothing. We miss the bus at the NEXT stop and it doesn’t stop anywhere else in the neighborhood. Luckily, the bus driver stopped when I blared on the horn as I followed him out of the neighborhood. Unluckily, said Child forgets the bag of stuff that needs to be returned to a teacher so I have to get out of my car in my FLUFFY blue robe and run to the bus. The neighbors on that street texted me. What a good mom am I. And all this fun by 10 am. Got this in an email from a friend of mine. She wanted to know which Mer brother this was. Your guess? I have no idea how this works, I have never been that good at these optical illusion pictures!!! !�� But the friend who sent me this said if you stare at it long enough, you should be able to see the ocean.�� I tried for a while.�� I can’t see any stupid ocean! 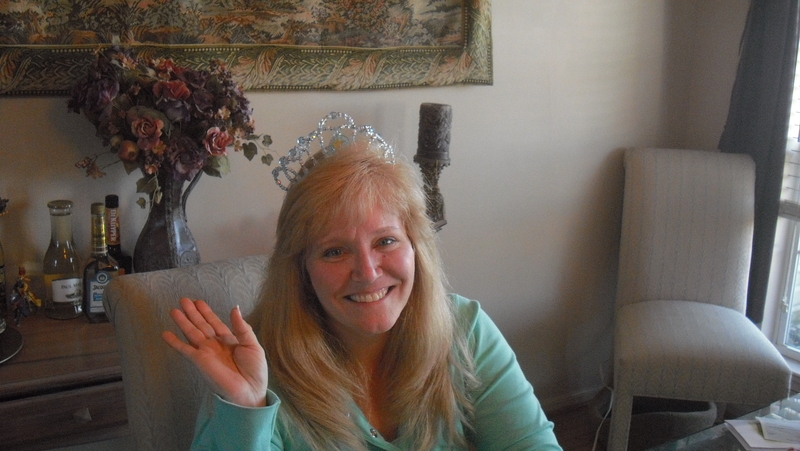 Congratulations to a Good Reader! 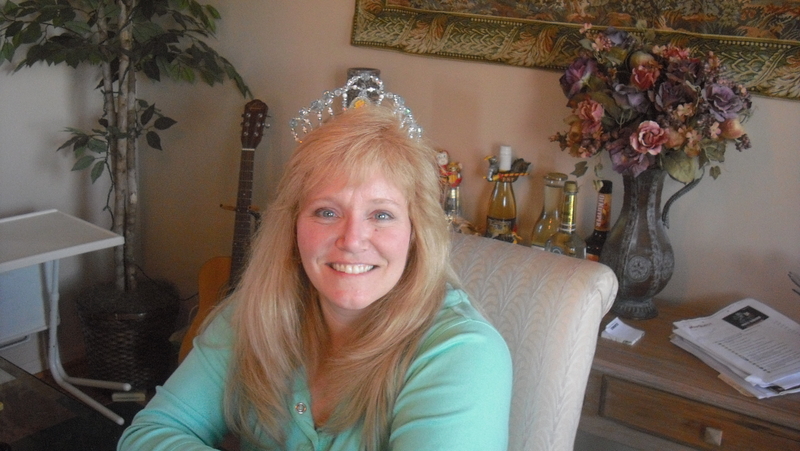 Congratulations, Tammy! Look for the book to arrive in your mail soon, and many thanks to everyone who played along. And never fear, there will be two more contests, one for the release of Wild Blue Under (taking place now) and Catch of a Lifetime (in January), so stop by and register to win!